New! 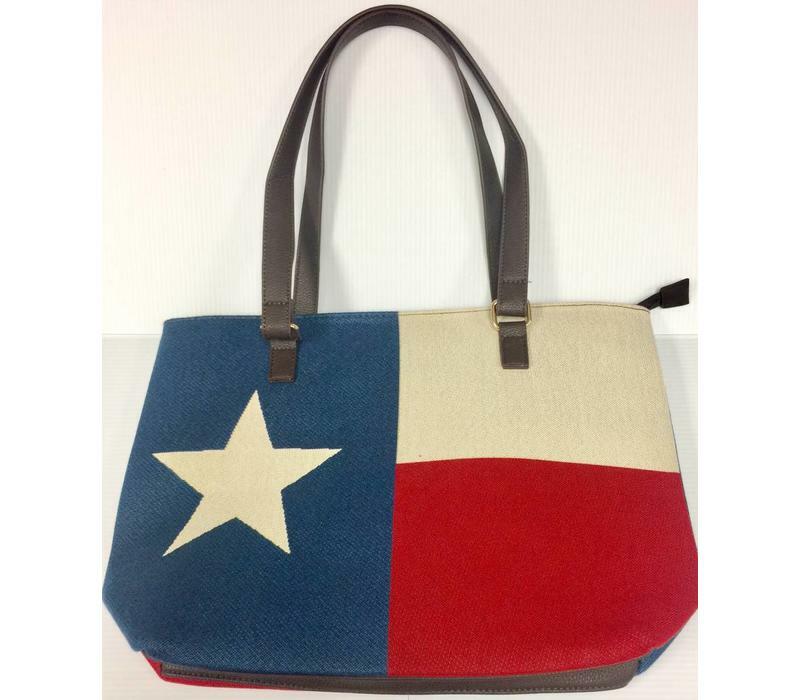 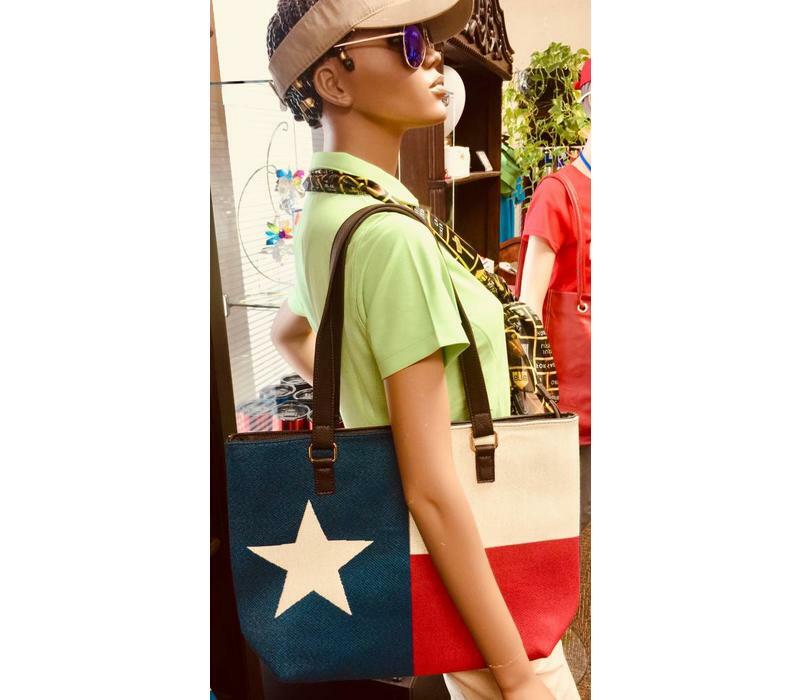 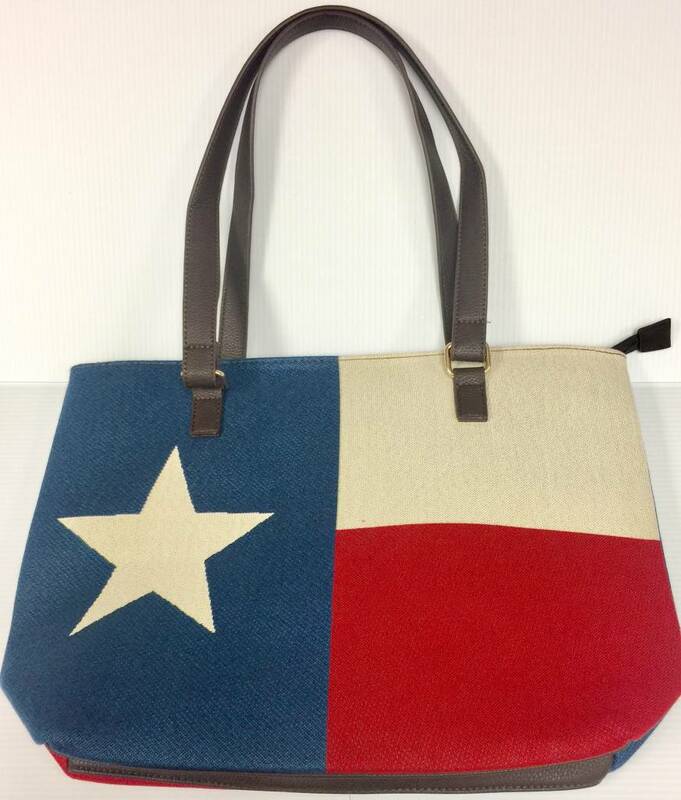 Nicely crafted Tapestry covered tote w'Texas Flag design. 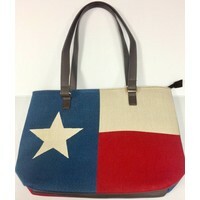 Zippered top and lined interior w/additional zippered pocket and pockets for gadgets and pens. 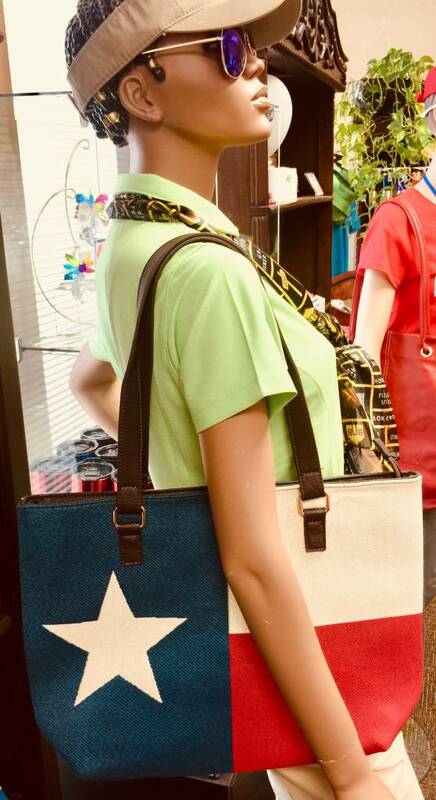 Nice Brown leatherette straps and trim.